What is VIPKID? If you don’t know, don’t worry because I hadn’t heard of it until this past summer. I was randomly scrolling through Facebook when I saw a post from another teacher about teaching with VIPKID. Of course, curiosity got the best of me and I looked into it. I was super-skeptical, at first, because I’d never heard anything about this company. However, as I began researching, I became convinced with the legitimacy of it. And I have been happily teaching with them for almost a year now! This post contains referral links. For more information, please see my disclosures here. It was founded in 2015 by Cindy Mi with the goal of giving Chinese students the opportunity to learn English with a native speaker in a fully immersive environment. To create the most individualized experience possible, each class is taught one-on-one. Because of the expectation of their clients, all VIPKID teachers must have a Bachelor’s Degree or higher. The degree does NOT have to be in education, but applicants are required to have some experience with children since the program targets ages 4-12. Nope! You open up the times that work for you. Consistency is best for those kids that become regulars because parents like knowing they can plan on Junior having VIPKID class every Thursday at 7 p.m. But, there is no requirement for a set schedule. This is also beneficial because class times will look different depending on which time zone you live in. I happen to live on the East Coast so I know that we are 12 hours behind Beijing time. That means I get up and teach classes from 7 am until 10 am while my students are taking the classes from 7 pm to 10 pm Beijing time. If I lived on the West Coast, I would have to wake up and teach at 4 am to complete a 7 pm class. Does that make sense? Another benefit of setting my own schedule is that if I have an appointment or will be out of town, I just don’t open that day. Typically we set our schedules (or open up classes) two weeks in advance. Honestly, this job is perfect for stay-at-home moms (or dads), homeschooling moms (or dads), and teachers who need a little extra money. It is also perfect for people who are needing to work from home! Is there a lot of prep? Yes and no! At first, when you are learning the platform, getting used to a different style of teaching, and becoming familiar with the material, it takes a little while to prep. However, because VIPKID has created all of the lessons in PowerPoint, you do NOT have to create anything. You do NOT make lesson plans or design the material. You simply teach the slides that VIPKID has already made. When I first started, it would take me about 1 hour or more to study and practice the slides for the next day’s 4 classes. Now, I spend about 20-30 minutes planning for the next day’s 6 lessons by viewing the PowerPoint slides ahead of time. Because I teach 6 classes in a row, I might be teaching a young student in pre-vip (equivalent to preschool) at 7:00 am and then I might teach a Level 5 (advanced) at 7:30 am. So, I like to be prepared with flashcards or a few other relevant props from around the house for my students. Each lesson is only 25 minutes long, and I like to be familiar with the material so that I can confidently teach the content within the time frame. Is it a lot of stress? No! However, because it’s a totally different platform than I had ever used, I was a bit overwhelmed at first. Honestly, I was so nervous I think I lost 5 pounds of water weight…just from sweating. When I taught in the public schools, I was always under a lot of stress. I was trying to teach 20-30 students the same skills and yet they were on a variety of learning levels. I could only move as quickly as my lowest student could go. This presented a problem for my more advanced students, and resulted in behavior problems. And, obviously, that didn’t translate well for the evaluations I received. The nice thing about VIPKID is that it’s one-on-one! I dictate my speed based on the student’s needs. I also get to know my regular students and just recently got to sing happy birthday to one!! My boys even know the names of my regular kids, and want to know who I will be teaching that day. And my regulars are MY KIDS…even if they live halfway around the world. One additional bonus is that I teach in my pajama pants. Honestly, not having to worry about what I am going to wear each day is huge stress reliever. Do you have to know how to speak Chinese? Nope! I don’t know any Chinese. Actually, that’s not entirely true. My students have taught me “Ni Hao” which means “hello” in Chinese. They have also attempted to teach me “goodbye.” Unfortunately, I can’t ever remember what the word is, so obviously, I’m not fluent in Chinese. The good news is that you don’t have to know how to speak Chinese either! If there is ever an issue in the classroom, we have access to a group of wonderful people who can help. As the liaisons between the teacher and parents, they are always available to assist when needed. Even though I don’t speak Chinese, I love getting to know my students and their families. It amazes me to think that I am able to make an impact on kids halfway around the world whose language I don’t even speak! As a family, we’ve grown so much more interested in learning about China and the Chinese culture. I can homeschool my boys and still provide financially. I am able to use my degree without the stress. I teach children who are interested in learning. I am part of a company that values its employees. 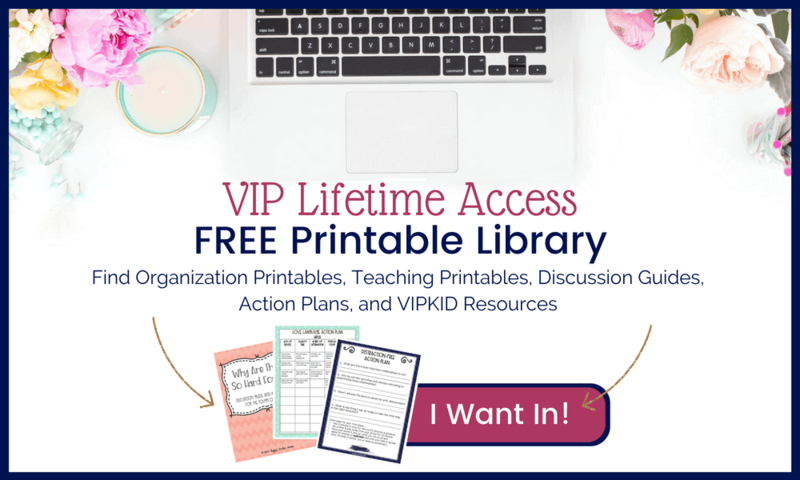 If you are interested in applying to VIPKID, I would love to help you get hired! Simply click the link below. Now you know the answer to the question so many people have been asking, “What is VIPKID?” If you would like to know even more about VIPKID, you can check out these posts. There are lots of tips and helpful hints for you.